Experience the Clarence Valley like never before! 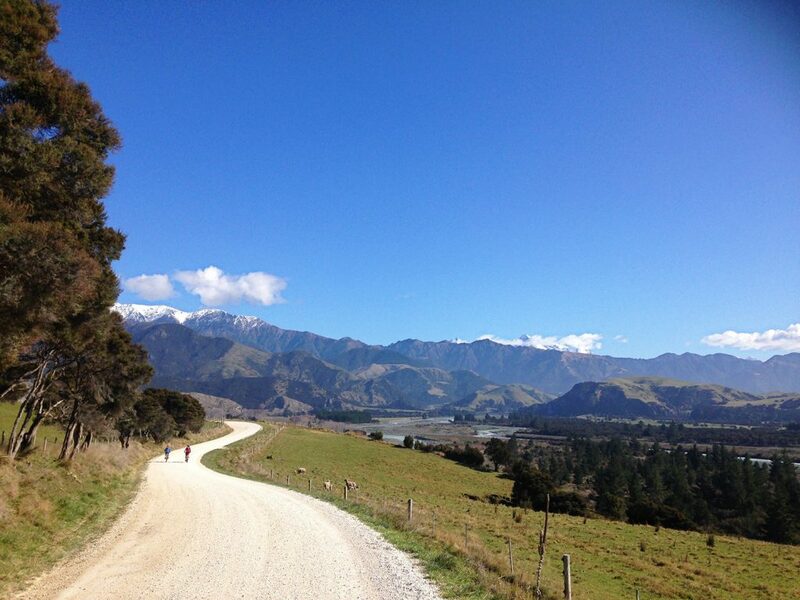 Clarence is located 30 minutes north of Kaikoura and 1 hour south of Blenheim on State Highway One. A new and improved 10km course takes runners and walkers out to the Coastline and offers spectacular views of the Pacific Ocean. This true off road course is predominantly flat and there will be an aid station at the 5km mark. 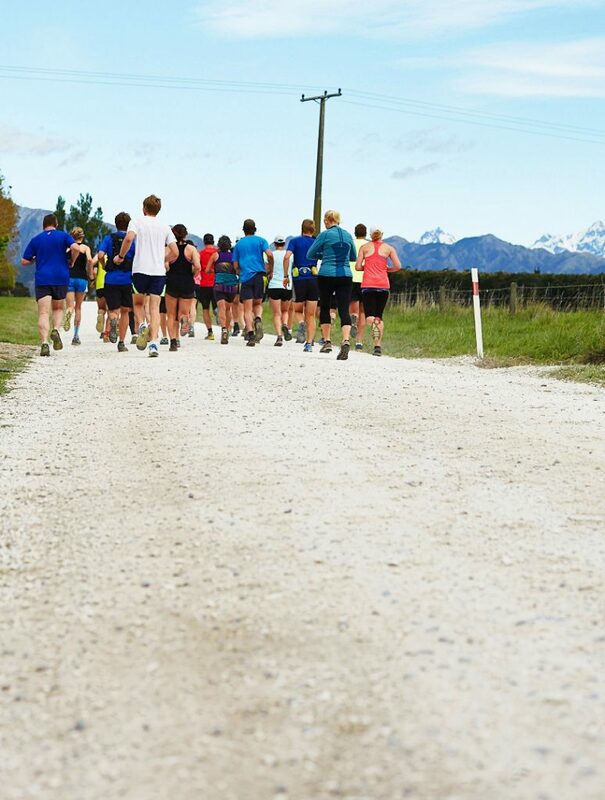 This scenic yet challenging course showcases Clarence in all it’s beauty and offers views from the Kaikoura Seaward ranges to the Pacific Ocean and even Wellington on a clear day! 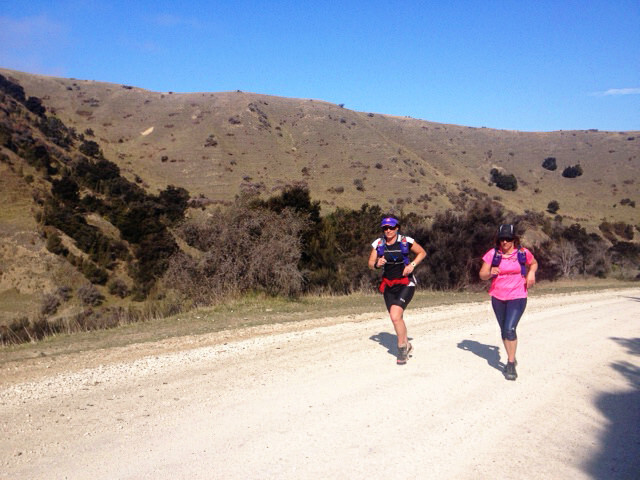 Yes, there are some hills but the views at the top are worth it and it is an off road event after all! There are 3 – 4 aid stations along the way and a portaloo. 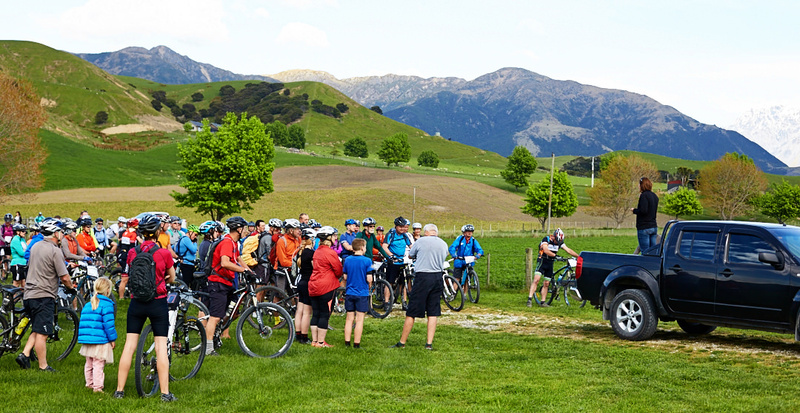 Encompassing the same course as the 21km with an added 19km of farmland terrain, this course is for the serious mountain biker looking for a good challenge. 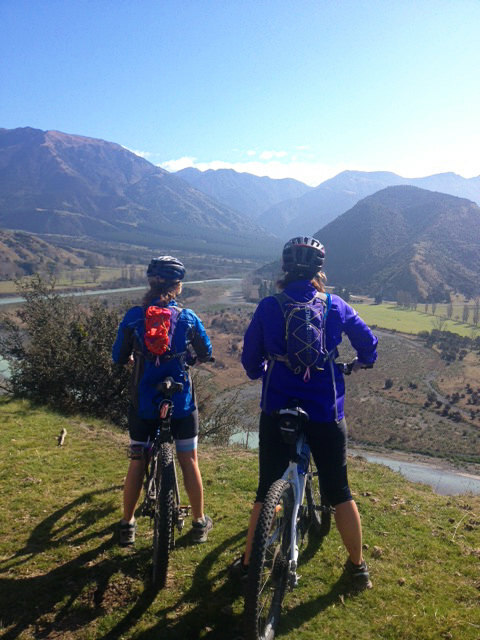 Following the Clarence River up through Glenalton, this course won’t disappoint. There are 2 chances to register and pick up your race bib. 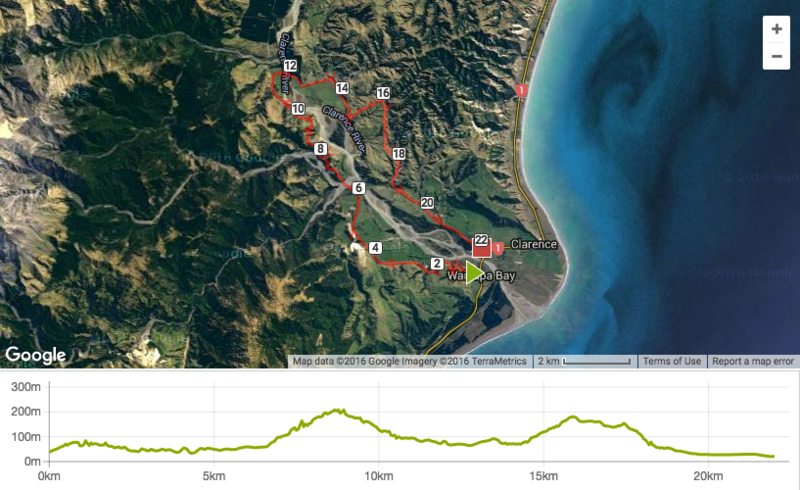 Friday the 14th of October from St Joseph’s School Kaikoura, 30 Ludstone Road, from 2:30 – 3:30pm or else on race day. The start line will be signposted from SH1 and is the left turn off just BEFORE the Clarence Bridge if travelling from the South and is the first right turn off AFTER the Clarence Bridge if travelling from the North. 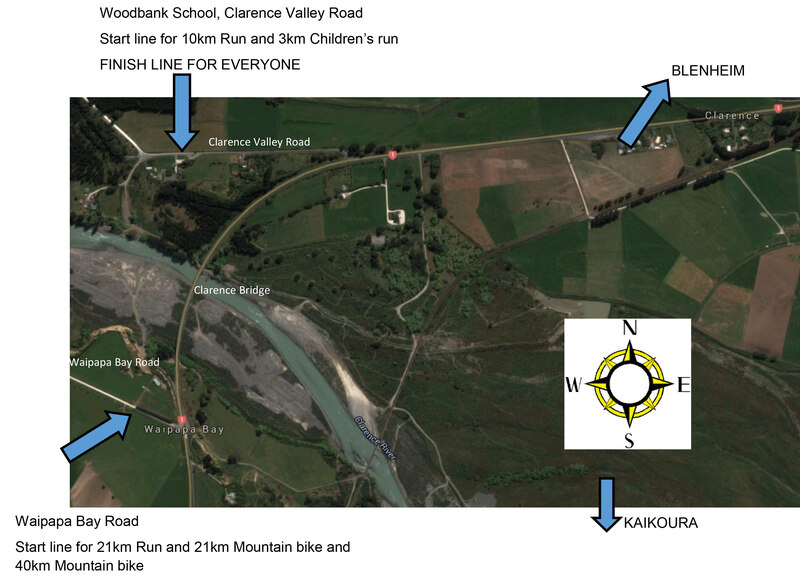 If you are competing in the 10km run or the children’s 3km run, registration is at Woodbank School which is on Clarence Valley Road and is the first turn off AFTER the Clarence Bridge if travelling from the South and is the right turn off just BEFORE the Clarence Bridge if travelling from the North. Registration will be open from 8:30am – 9:30am at Woodbank School. 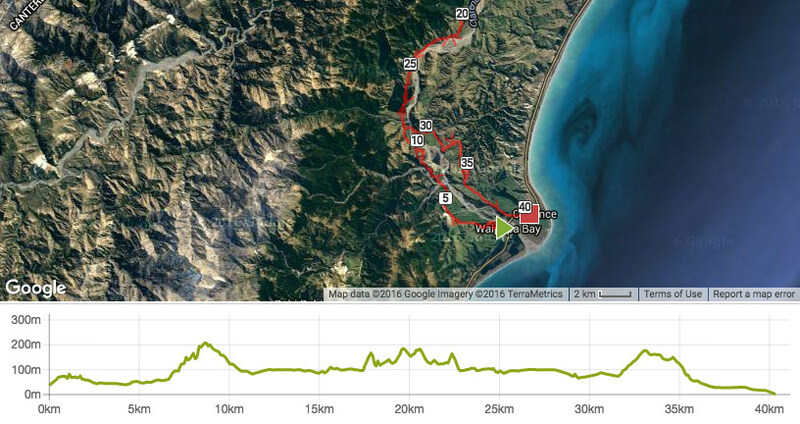 Competitors in the 21km run and both Mountain bike events may park in a paddock on Waipapa Road. The finish line is at Woodbank School and there will be a courtesy vehicle that can take you back to your vehicle after the race. 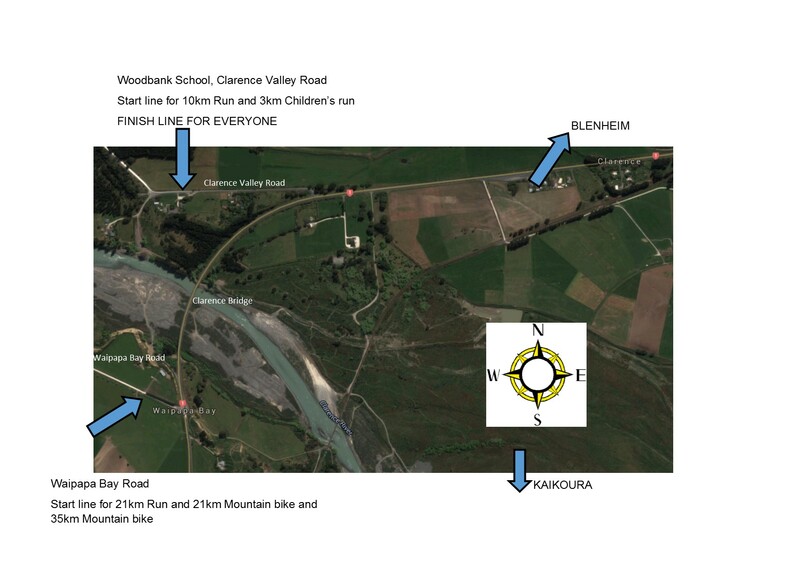 Alternatively you may wish to take advantage of the courtesy vehicle before the race and park at the finish line which is at Woodbank School on Clarence Valley Road and the courtesy vehicle can shuttle you to the start line. 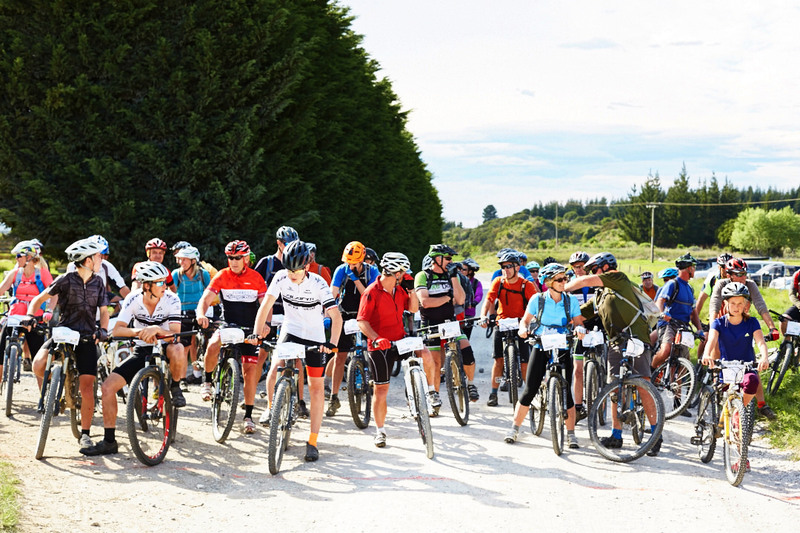 The courtesy vehicle cannot take mountain bikes so you will need to leave your bike at the start line (this will be fully manned) whilst you get your car to the finish and return straight away – this will be a 5 minute round trip! 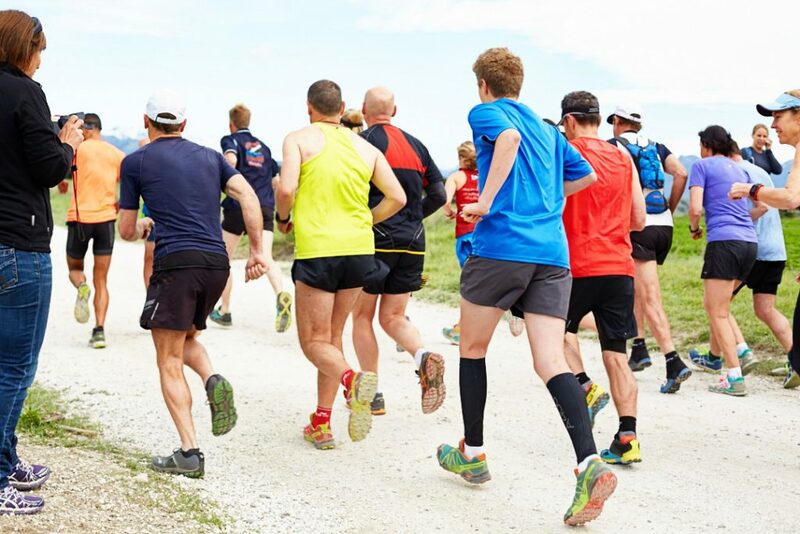 Competitors in the 10km run and 3km children’s run can park in a paddock by Woodbank School on Clarence Valley Road, as their race starts and finishes at Woodbank School. There will be a portaloo at the start line on Waipapa Road and 2 more out on the course. There are toilets available at Woodbank School which is the start line for the 10km and 3km runners and the finish line for everyone. 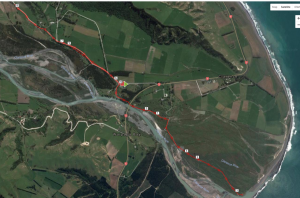 There will be three water stations out on the course, one by the crossing of the Wharekiri stream which is approx 6km into the course for the 21km runners and bikers, one at the point where the 40km bikers turn off, approx 11km mark and again at the 16km approx mark. There will also be one at the turnaround point for the 40km bikers, which will be approx. 20km. For the 10km runners and walkers there will be a water station at the 5km halfway mark. 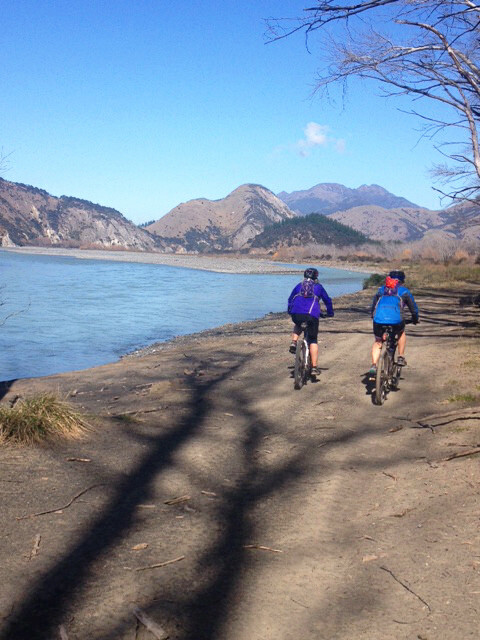 Competitors in the 21km run and both mountain bike events will cross the Wharekiri Stream at approx the 6km mark. This stream normally runs at a nice low level and at best you will get wet toes. There will be marshalls at the crossing to aid you if needed. If the stream comes up before the race and the organizers deem the crossing too risky, then the course will be altered to an out and back loop from Woodbank School. 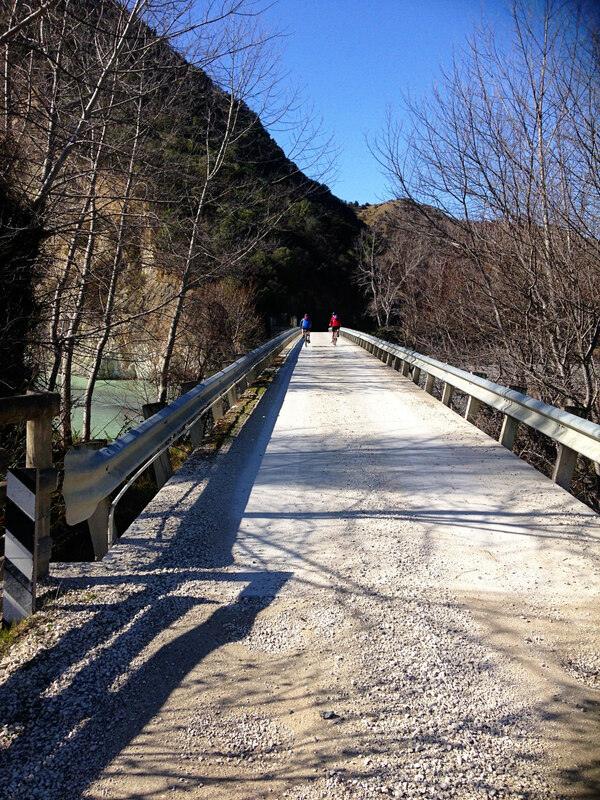 The distances will still be 21km for runners and also for all mountain bikers. All competitors finish at Woodbank School on Clarence Valley Road. There will be plenty of food options here and other goodies on offer. Please bring cash for this and enjoy the fun atmosphere that our finish line will provide. Prizegiving will be at approx 12:30pm or as soon as feasibly possible once all competitors are in. You must be present to be eligible for a spot prize.